34 producers and industry professionals from 23 different countries and 14 selected projects in different stages of development are set to participate at the EAVE Marketing Workshop in Luxembourg during November 16-20. 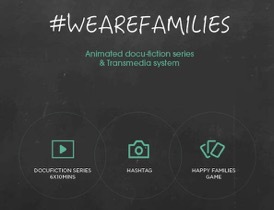 Our producer, Elise André, takes part to the workshop with our project #wearefamilies. More infos here.